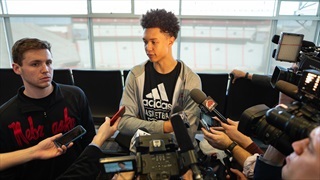 Isaiah Roby and Johnny Trueblood attended Fred Hoiberg's introductory press conference on Tuesday afternoon and took a moment afterward to discuss their futures. 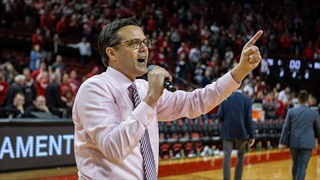 After news that Nebraska was parting ways with Tim Miles broke, Miles and his players took to Twitter to share their reactions. 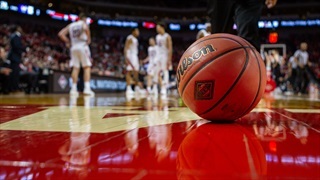 Nebraska’s run through the NIT came to an end in Fort Worth on Sunday night as the fourth-seeded Huskers fell to the top-seeded TCU Horned Frogs 88-72. 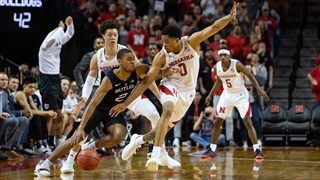 The first game of the NIT tells you everything you need to know about the status of a team and where the players’ heads are at, and Nebraska's 80-76 win against Butler shows that, unlike last year, the Huskers came to play. Senior guard Johnny Trueblood has a decision to make. He knows it. 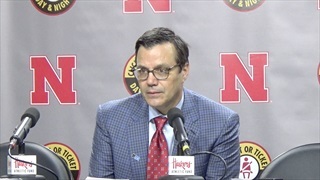 After Nebraska's 80-76 win over Butler, Coach Tim Miles, senior Johnny Trueblood and junior Isaiah Roby spoke to the media. 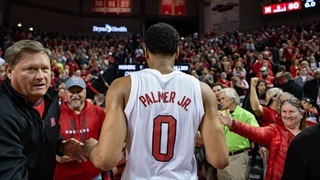 The Huskers live to fight another day behind a career-high from Isaiah Roby and strong contributions up and down the short lineup in an 80-76 win over Butler in the first round of the NIT at Pinnacle Bank Arena on Wednesday night. 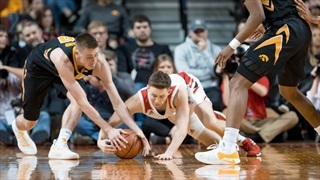 Nebraska’s run in the Big Ten Tournament came to an end on Friday afternoon with a 66-62 loss to Wisconsin at the United Center in Chicago. After the game, Coach Tim Miles, senior Johnny Trueblood and junior Isaiah Roby spoke to the media. 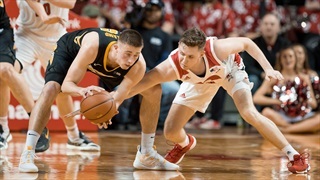 Nebraska’s run in Chicago came to an end on Friday afternoon as the short-handed and 13th-seeded Huskers ran out of gas down the stretch in a 66-62 loss to No. 4 seed Wisconsin in the quarterfinals of the Big Ten Tournament. 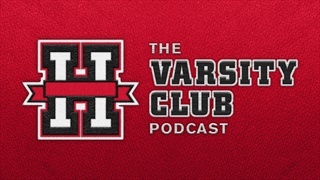 Derek Peteron on Johnny Trueblood's statistically-strange run, Lamar Jackson likes to hit, the Big Ten Tournament and more. 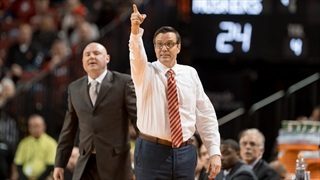 The 2018-19 season has been a massive disappointment in many ways, but this run the Huskers are on led by the resilient group of seniors is worth remembering and celebrating no matter what else happens moving forward. We're rebranding this weekly podcast. It's now just a giant ad for Nebraska walk-on guard Johnny Trueblood. Jacob Padilla joins the pod to break down his play of late and how it's helping Nebraska at the Big Ten Tournament. 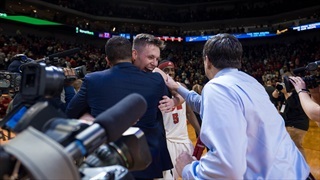 The miracle run through the Big Ten Tournament for Coach Tim Miles and the short-handed Huskers continued on Thursday as the 13th-seeded Huskers knocked off the No. 5 seed in Maryland 69-61 at the United Center in Chicago. Somehow, some way, Nebraska is still kicking after another win at the Big Ten Tournament. We've got takes. The turning point of Nebraska's 68-61 win over Rutgers on Wednesday was a late 15-0 run by Nebraska that featured big plays by a handful of different Huskers. 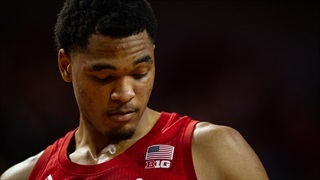 James Palmer Jr. put the short-handed Huskers on his back and carried them to a 68-61 win over Rutgers in the play-in round of the Big Ten Tournament on Wednesday. 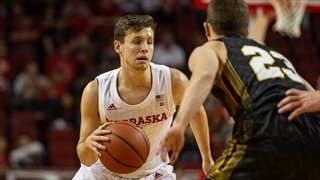 Nebraska's scholarship seniors put up some big numbers in the Huskers' overtime win against Iowa on Sunday, but walk-on senior Johnny Trueblood was a vital part of the comeback as well. 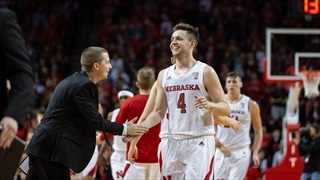 Nebraska’s 93-91 overtime win over Iowa was a game of big moments. 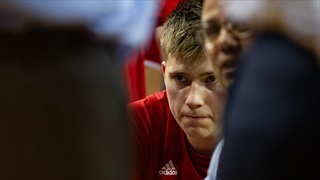 And not just for one or two players, but for what felt like just about every Husker on the court. 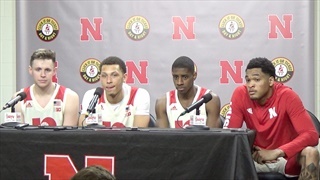 Head coach Tim Miles, along with guards Glynn Watson Jr., James Palmer Jr., Amir Harris and Johnny Trueblood, met with the media after Sunday's come-from-behind win over Iowa.